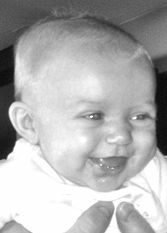 Rylan Aislee Koopmeiners, born April 10, 2012, and entered God's loving arms on July 27, 2012. Daughter of Nathan and Reggan Koopmeiners. Sister of Jordan, Tyler and Tresajo. Granddaughter of the late Ronald Koopmeiners, Sheryl (Donald) Stanfel, James Donald, Jr. and Shawna McKenna. Also survived by many other loving relatives. Visitation will be on Thursday, Aug. 2, from 9-11 a.m. followed by a funeral service at Good Shepherd Lutheran Church, 4311 104th Street, Pleasant Prairie, WI. In lieu of flowers, memorial donations may be made to the church.